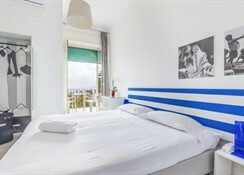 This designer hotel is situated just outside of the city centre of Sorrento, only a five-minute walk from the beach. Guests might take a short stroll into town to visit the Correale Museum and two pretty harbours, go for a scenic drive along the Tyrrhenian Sea to Amalfi, or catch a ferry for an excursion to Capri. 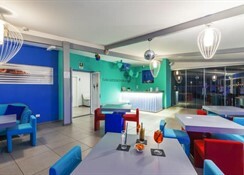 Pompeii, Mount Vesuvius, and Naples are all within an hour's drive, and guests can take advantage of the hotel's shuttle service to arrive quickly and easily to the train station and port.The hotel's trendy guest rooms are cool and bright, offering free Wi-Fi and ocean or garden views. 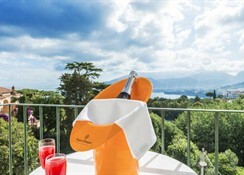 Guests can start the day with a complimentary breakfast in the colourful lounge or on the sunny terrace with fabulous views of Mount Vesuvius and the sparkling Mediterranean Sea, and later enjoy Mediterranean cuisine with a surprising exotic twist in the hotel restaurant, all during a marvellous holiday retreat in Campania. Refreshments are available at the poolside snack bar. The atmosphere and warmness makes this ancient and graceful villa an ideal place for spending holidays in absolute relaxation. It was renovated in 2012 and has a total of 24 rooms. 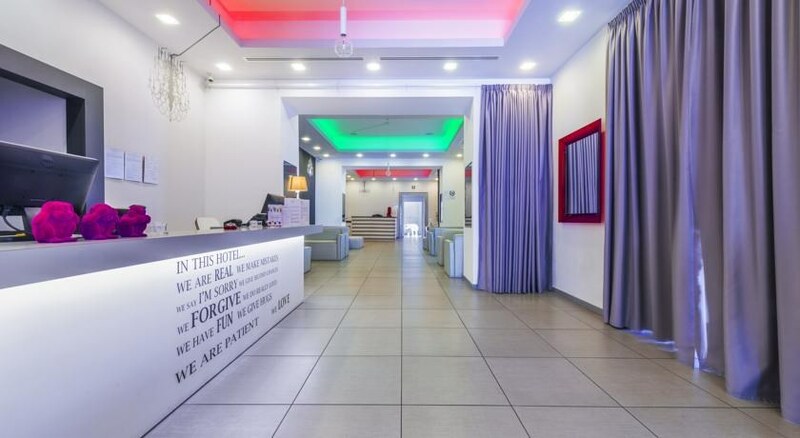 The premises are air-conditioned and guests are welcomed in the lobby, which offers a 24-hour reception service and a 24-hour check-out service. Facilities at the guesthouse are elegant. Guests can enjoy a drink at the café, bar or pub and dine in the restaurant. 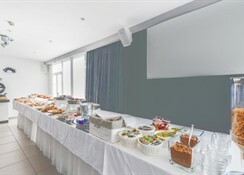 There is also wireless Internet access, large meeting rooms and a car park. Bicycles are available for hire.All rooms are well equipped with all the comforts and are colourful and bright. They come with carpeted floors, wooden furniture and are decorated with artwork. All rooms are en suite with a shower and a hairdryer. Guests can enjoy a good night's rest on their double bed. There is also satellite/cable TV, Internet access, air conditioning and individually regulated heating. Most of them have a sea view of the wonderful bay of Naples, with a little terrace.